Last year, I trained for a 5K. When I started to run a few months beforehand I realized, yikes, I’m way out of shape! But after huffing out a mile run for a few weeks I was able to stretch it to three miles. The race was a fun experience and I look forward to doing it again this year. Fostering a creative mindset is just like this. It can become a habit, but you don’t put canvas on an easel and paint a masterpiece rivaling the classics, and you don’t sit down and write a book it comes in words, sentences, and pages. It takes time and momentum. Here are a few practical ways to fill your creative well so when you are ready to take on a creative pursuit you don’t begin empty. These are five ways that help me foster creativity. Because of how busy my life is, a lot of these surround the idea of peace. I’d love to hear how you recharge in the comments section below. Go on a walk. This can be during your lunch break, when your spouse gets home from work if you stay at home, any time. We all need time to think and being out in creation, even on a dark snowy Michigan winter night, can fill your creative well. Time alone to think. This may seem odd but I’ve felt rich and full at 6am when all is dark and quiet and I have a cup of coffee in my hand just looking out into our yard for ten minutes. Organize an area of chaos in your home. This may seem counterproductive because it would steal time away from the creative pursuit, but it is all about momentum. The satisfaction of finishing a project will result in a clearer and more focused mind. Go into the city or country. Here in Grand Rapids, 10 minutes will bring you to the downtown of a bustling city, 10 more minutes will put you out into the country. I love the feel of a small big city. 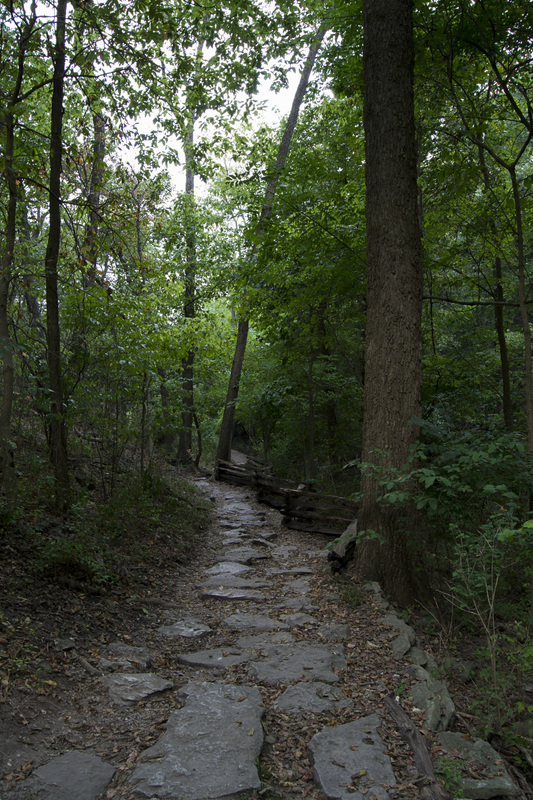 If you live in the city, venture to a park. If you live in the country, head downtown. Pulling yourself out of your normal way of life will help open up your mind. Share a meal with friends. I love sitting around a table and sharing a meal. There is something beautiful about this that unites people. No matter if it’s Mountain Dew and pizza or a gourmet meal, everyone enjoys some free food and conversation with those they love. Whatever you do this weekend take time to be you, creative. Find a small sliver of peace and drink deeply. Then, use that peace to produce something. I’ve read it everywhere. Being an author is different now than it was ten to twenty years ago. I don’t mean that there are technological advancements like the smart phone and that interweb thingy. What I mean is, you don’t write a novel, send it in, and then wait for the royalties. Writing is a job, a venture for the serious, hard worker. If you are immersed in the writing world, you already know this. But, if you are trying to grow from a budding pre-published author to a hardened professional, how do you get there? Would you let me do an author talk at your store? Please? I work in the world of business. Some might think it greasy, but there are things I really enjoy about it. The company I work for is an ESOP company, an employee owned company. We are also in the industry of wage reporting which is changing from paper to electronic reporting and remaining relevant is of vital importance if we all want to keep our jobs and retirement accounts. What is nice about this sort of business environment is that there is a lot of input and exploring of methods and trends coupled with a yearning to always be advancing forward. Each employee depends on the other to pull their weight, because the money earned each day does not go into an owners’ coffer but an employees’. There is a spirit of entrepreneurship, which transcends all we do. As an author, I think it is wise if we maintain the same spirit. We must understand how people are purchasing books. What are the emerging writing markets/publishers/genres right now? Is self-publishing a wise decision at this time or is the traditional route a better fit? If we are to self-published we must certainly investing in professional editing and cover layout, but where do you go to get that information? And how much should we spend on it? How about hybrid publishing, doing a small press print contract and then taking on some self publishing gigs? How do readers hear about new books in your genre, is it goodreads? Promotional Tweeting companies? These are all valid questions that we should be seeking answers to. They might seem more relevant to a self-pubishing writer, after all the publishing house will take care of all of these things right? Wrong. You need to market your book just as much as they are. What if you reach out to the wrong publishing house or miss a cultural shift in the general public’s reading taste buds, will you ever sell the book you are writing? 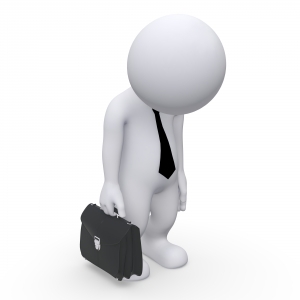 There are a lot of mistakes to be made and a lot of avenues to consider when you want to make writing a career. Social media is certainly a huge part of it, but also keeping up with these trends as well. It would be awful to discover the content of your novel was popular a decade ago or that a lot of new books are discovered on a social media platform other than the one you are using. I do my best to dig into these things myself. I want to be an educated writer so when the time comes I can make the best decision for my work. You are writing a book, but you are also launching a small business. How about you? 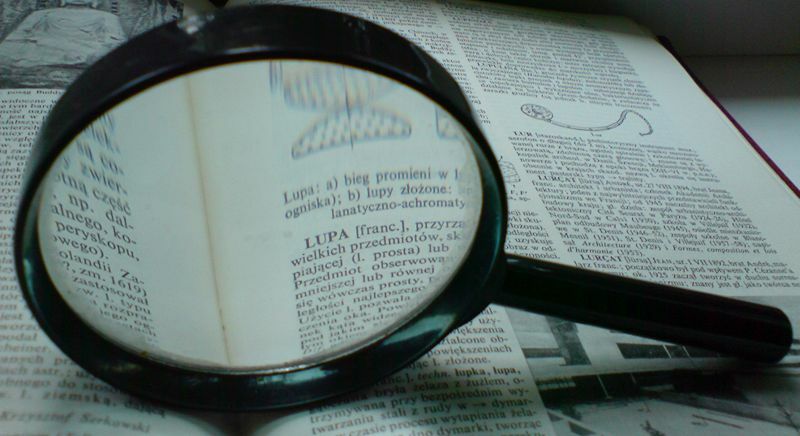 Have you discovered great websites or magazines or classes to help you in your writing? Let the readers know in the comments below. First drafts are terrible. I thought what I wrote was good at the time (roughly 10 years ago). Really good. I think I even had delusional thoughts of being a professional someday. It did not take long for me to come back to earth. I reread it after setting it aside for a few months and realized how poor the writing was. I did not roll up into a ball and cry, however, I was proud. Proud, you ask? I was proud because it was done. I’d written a book! And every new draft I’ve written since has been better. Better planning and grammar. Better mechanics and literary tools to create something more beautiful. It is more than that though. Each word put on the page is a march along the path to publication. At times this path might lead me further away from my goal, but I am on a road. Occasionally, I find a short cut. I write this post to those who fear of doing it wrong. It may be something you’ve heard a thousand times here and possibly with a writer friend or two but excellent planning without any actual writing is useless. It’s like planning and saving for a trip but when the time comes, you report to work. As a writer, my goal is to tell a story. I want to finish one and do the best I can, but writers must learn by reading a lot and writing every day. Don’t believe me? Head over to Kristen Lamb’s Blog, she’s a professional. Yesterday’s post was about balancing writing and life. It is worth your time. I hope you find courage and tenacity today my friends. Courage to move forward into the unknown of another page and tenacity to get up and do it again tomorrow. The writing advice on this blog is learned from my own experience and failures. Lately, I’ve been thinking a lot about how I treat my writing. Am I a slave to it? Do I treat it like a job, as it should be, because I want to do it as a career? I listened to an interview by James Scott Bell recently and I think it would be helpful for you to hear from him as well. I posted it below. If you have not heard of him he is a best-selling thriller writer. He also has written several books for Writer’s Digest about the craft. I suggest visiting the library and reading a few of them if you want to strengthen your fiction. Write well today my friends. 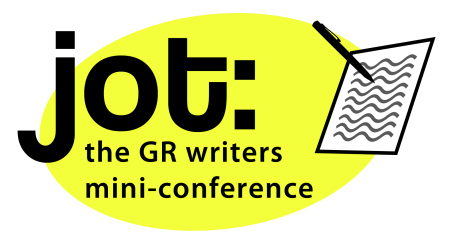 Every six months, over the last year, my writers group has put on a one night writers conference called Jot. The third installment is less than a month away (Friday, March 14th). Before we started writing, we were all friends. Each of us had been writing or considering it in one form or another. We each shared our secret love of writing and all of a sudden there we were, meeting about once a week to share our progress or even reading a little of our work. At the time I don’t think we realized the unique situation we had, an organically grown writers group that sprouted out of friendship. We didn’t read an article on a website or an invitation in a bookstore to connect with random individuals, it just sort of happened. Writing is a lonely activity. I’ve said it many times on my blog that you cannot write alone, but you have to. What I mean is that, just like runners in a marathon, you need people on the sideline cheering you on and also people writing with you to help improve your craft. The act of writing thrives in community. In community the writer receives encouragement, readers, and challenges all at the same time, three ingredients essential to any would be novelist. This is why we started Jot. Not because we wished to make money (it is free) but because we wanted to connect local writers with other local writers. If you are a writer in the West Michigan area, or within driving distance, I hope you’ll come out for our event. If anything, our lineup is fantastic. You’ll hear presentations from professional novelists, one on screenwriting, have a chance to attend a free poetry workshop with a poetry editor of a literary magazine, and a presentation from a publisher. I believe, however, you’ll get more than that. Your passion for writing will be ignited and you might find a writing friend or two to meet with regularly, that is our desire. Writing thrives in community. I hope to see you Friday, March 14th at 7pm at Baker Book House on East Paris in Grand Rapids, Michigan. Until then, write every day! Do You Struggle To Find Time To Write? For various reasons, our books are not done. The task of writing a 60,000-100,000 book is akin to climbing Everest, tomorrow, without any training. But, let’s break this mountain down. Writing is about rhythm. Get up every day or writing at lunch or before you go to bed. Writing is hard work, not dancing in a field of lilies. If you ask my wife she would tell you that I am not a detailed person. Most of my friends would say the same. My boss would say I am color blind, but let’s not talk about all my faults at once, okay? I’d like to think I can be detail oriented, but it eludes me. I am a hard worker, tenacious at times, even going without sleep if necessary to complete a task or project. But alas, I have no fine tooth comb. If I ever did, I lost it. Forever. Panster. When I first heard the term I was confused. Panster, what the? For those of you who have not hear the term it simply means sitting down and writing by the seat of your pants. 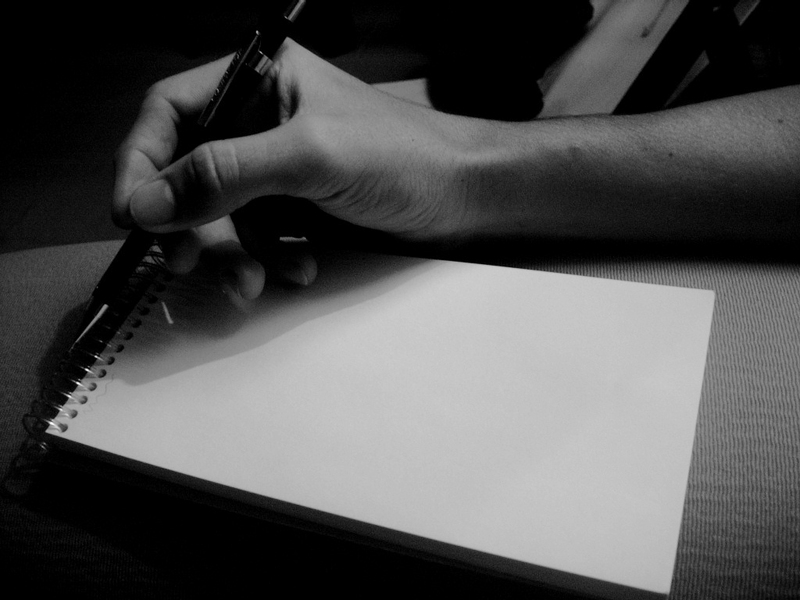 No plotting or planning, just take a blank page and fill it and move on to the next one. And, though possibly to the ridicule of some, I’d like to say being a panster is not for the serious writer. Literary giants, and even little ole me, agree that there is a firm rule that there are no rules to the craft. This is true, however, only for the process of getting the book down on the page. You do not follow rules A,B, and C and voila, Dante’s Inferno or the Grapes of Wrath. But I’d like to argue that you also do not sit down with a clear head and there you have the next great American novel or wildly successful YA series. It just cannot happen. I think it is clear that the two works mentioned above along with most books have a plan, from the beginning. Formulaic or not, the author knows where they are going for the most part. This plan may change and by happenstance or eucatastrophe a beautiful part of the story surprises the author, but only because the other puzzle pieces are laid down. The author knows what size and shape the missing pieces must be in order to make the story work. Details are not my forte. If you find forming plans too constraining to your free spirit artist, I understand. But keep in mind there must be some form of trajectory. Perhaps not the first draft, so the story is not snuffed out when it is a wee amber, but at some point it will have to be molded into a story. Planning will give your story more of a chance and save you a lot of grief in the editing process. Do this for each subsequent chapter. Planning is for the professional, pansting is for practice. I’d love to hear your thoughts on the topic below. Find some time to write today! Less than two weeks ago I read a blogpost that mentioned a small press was doing a free critique weekend. I even posted it on my own blog here. A big thank you to Jennifer M Eaton for mentioning it. They would take the first five pages of your work and give you honest feedback, no strings attached. This is not a submission but part of their free critique weekend. I figured I am on a high of finishing my draft and as it is submitted, I could do with a good beating. Thank you for taking part in our Tender Love Critique Weekend! Your story starts off with a bang and I must say that I was immediately sucked in, even from just the first five pages! After reading your short sample, I’m curious about the world you have built and eager to learn more about it. Please find attached your submission, which I have made notes on — one of which is that I caution you to be aware of overused words. You’ll see that I have highlighted frequently used words, which can potentially pull readers out of the story. I hope you find my critiques helpful and that when you have finished your novel you consider Lycaon Press/Breathless Press as a potential publisher, as it is our hope to encourage writers everywhere in their pursuit of writing. Writing is a lonely pursuit at times. It was encouraging to have someone who is not my friend or family member validate my hard work. It was a small victory and sometimes that is all we need to keep going to the next page, to the next word. Keep writing today friends. That is the only tried and true method of success. Last week, I was a vandal. Or, at least I felt like one. A local bookstore is in the process of closing its doors and I helped give them a final shove by raiding their shelves. Schuler’s on Alpine Ave was one of my favorite places to go. My wife and I would go there on dates. We took the kids there so much that my when my oldest was one she would always pretend to leave and when we asked her where she was going she always replied, “to the bookstore!” every time. While I was being a villain, I bought a copy of the book Revision and Self-Editing for Publication by James Scott Bell. It is subtitled Techniques for Transforming Your First Draft into a Novel that Sells. Now, I have never believed that you buy a book, follow its principles, and say hello to a monster book contract. But, I believe that you should always be learning and growing and not become complacent if you want to succeed at the craft. Mr. Bell loves teaching about writing, this is very plain. One of the first things he did when he was in the process of learning how to write a great novel, is read with a notebook and pen. At first I thought it would transform the pleasure of reading into an arduous experience. I was wrong. In the opening Mr. Bell talks about his grand scheme to improve his golf game. He decides to by videos, subscribe to magazines and learn all he could about the tips and tricks of the game. Though he did this, it did not help. He got really frustrated and nearly gave up because, though he had the theory down, he could not do it. Learning it was one thing, doing it another. Just as he was about to give up, he met a golf instructor that showed him how simple household items like brooms and coat hangers and the like could help him ingrain the natural movements in golf. Soon, he was better at the game. His body knew how a good swing or putt felt. This is why reading with a notebook in hand is wonderful. You can write down your own tips as you read your favorite books. You get the feel of a great story or why a particular scene or character is so spot on. I’m reading Harry Potter and the Sorcerer’s Stone and learning why it is so great. I am studying the chapters and the characters. I see the ballon of hope in Harry swell in three paragraphs, a one sentence paragraph plateau, and then three paragraphs tumbling him back to his horrible reality. I’ve learned how the technical part of dialogue and action followed by more conversation. And I’m better at comas. There are endless things to learn about the craft and Mr. Bell is a great guide for fiction writers. I suggest if you want to get better, read a great work of fiction, and do so with a pen and notebook in hand. Writing friends, check out the criteria and send your work in. This is not a submission but a free critique. Don’t worry though, this is not an attempt to steal your stuff or trick you, I checked it out. Read full post at Jennifer M Eaton. Good luck! Dont forget! today is the big day. Get those pages out there! Great opportunity! Get your first five pages critiqued by a professional editor.